At Carlton Insurance we believe in the “Team Concept”. While every client has an “assigned” Account Manager, there is another team member that has familiarity with your account and can answer questions and handle service if your Account Manager is not available. Every Account Manager and Sales Executive are constantly in training and enrolled in advanced insurance education, in addition to the Continuing Education required by the state. Team Members participate in designation programs for both personal and commercial lines of insurance. We believe this is proof of our commitment to a superior level of customer service and professionalism. Nelson Carlton joined Carlton Insurance in January of 1995 with a concentration in agribusiness and commercial lines insurance. His prior experience includes working with the Carl D. Pate Insurance Agency in Beulaville N.C. as a producer and part owner of the business. Before entering the insurance business and after his graduating from N.C. State University, he spent nine years with Quinn Wholesale Company, in Warsaw N.C. as a company buyer of perishable goods and Director of Human Resources. Nelson has served the community of Duplin County on several different boards including, the economic development commission, the county planning board, and he is currently a director for the Duplin County Veterans Museum. He is a native of Duplin County. Nelson and his wife, Alice Anne, have two girls, also graduates of North Carolina State University. He enjoys North Carolina history and the balance of life that Duplin County offers to family, farming and business. Vonda Norris is an experienced Farm and Commercial Account Manager and leader of Carlton Insurance’s customer service team in both personal and commercial lines of business. Driven by integrity, she takes pride in providing the best leadership and service possible. As one of the managers of the service department, her goals include equipping the team to be the best at all aspects of their job and investing in the team's growth for the good of clients. In addition to her primary responsibilities, Vonda obtained an Associate in General Insurance as well as the CISR designation, to accelerate her career in insurance. When she’s not working, you can find her riding her own Harley, riding UTV’s or boating with the family. Chelsea Malpass joined Carlton Insurance in 2008. 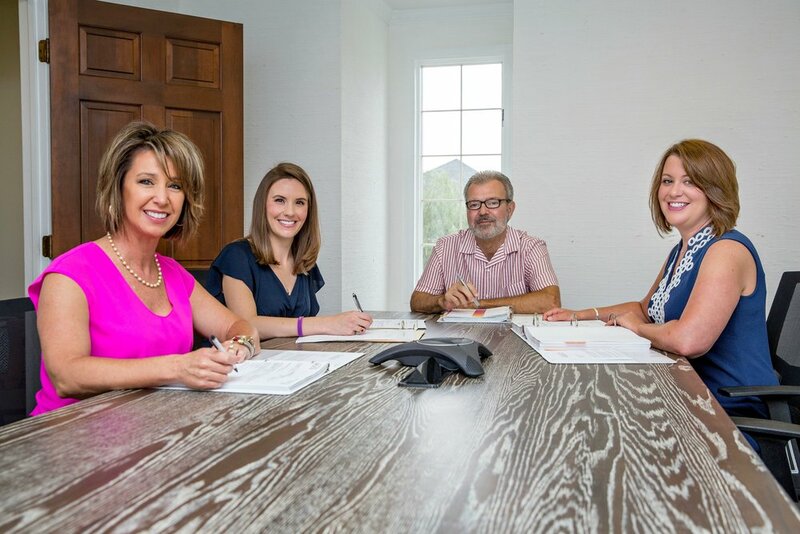 Over the years, Chelsea has worked in several areas of the agency learning the operational intricacies particular to the differing aspects of the insurance business. As head of Accounting and Technology, Chelsea enjoys the challenge of figuring out the how and why of daily work within Carlton Insurance. She draws particular satisfaction and reward from teaching and supporting colleagues with new technology that helps them succeed in their daily endeavors. Chelsea lives in Pink Hill, North Carolina with her husband and children. When not at work, Chelsea enjoys spending time with her children, reading, going to the beach, and involvement in her church. Mary George began her career in insurance at the invitation of her grandfather, Hugh Carlton, to move to Warsaw and work for him. A recent graduate of NC State University discerning next steps, she took a step of uncertainty and made the move, spending the following year studying the industry and having the great fortune of spending treasured time with her grandparents. Since that time in 2012, Mary George has obtained designations as an Accredited Adviser in Insurance (AAI) and Certified Insurance Service Representative (CISR), expanding her knowledge and experience that continues today. She serves in part of the management of the agency and leadership of the Commercial Lines service department with a team of skilled and compassionate people. Mary George lives in Goldsboro with her husband and their family, now fortuitously a part of two wonderful communities. Doreen Smith, a Sampson County native and graduate of the University of Mount Olive, joined Carlton Insurance in 2017 as a producer. Doreen worked in her family’s auto dealership business in Clinton for several years prior to moving to Duplin County. This work experience, coupled with owning her own business and marrying a farmer, allows her to understand and meet the insurance needs of business owners. Doreen relies on this background, as she works in partnership with clients to assess appropriate and comprehensive plans for personal and commercial insurance needs and asset protection. Doreen lives in Beulaville with her husband and two children. She enjoys spending free time running, traveling, and looking for new adventures with family and friends. Doreen feels life is short, so smile and have fun. Cheryl Sutton started working at Carlton Insurance in 1984 as a licensed property and casualty agent, with a primary focus in personal lines. Cheryl thrives on the lasting relationships that she has built over the time she has been in the insurance industry. Clients have become friends and family for Cheryl. Cheryl enjoys relaxing by the pool in the summer and spending time with her family. She enjoys all kinds of sports and volunteers on the local fire department and sings in her church choir. Erika Sutton joined Carlton Insurance in 2013, as a licensed North Carolina Property and Casualty Insurance agent, with a primary focus in commercial lines. Since joining the company, Erika has obtained the designation as a Certified Insurance Service Representative (CISR) and is currently working towards other designations. Erika enjoys being a helping hand in assisting her clients with their risk management needs. Erika lives in Beautancus, North Carolina with her husband and two boys. When not at work she enjoys spending time with her family and friends, cooking and any type of arts & crafts. Guylene Ferrell came to Carlton Insurance Agency in 2012 with 25 years’ experience in customer service. Licensed as a North Carolina agent in Property, Casualty, and Life Insurance products, Guylene is known for supporting, educating and building lasting relationships with her clients. As a seasoned Account Manager she is passionate about advancing her knowledge base and customer service skills. Guylene has received her designation as a Certified Insurance Service Representative, and is currently working towards other designations. When not at work Guylene enjoys spending quality time traveling with her two daughters. Maranda Heath joined Carlton Insurance in 2015. Through her eagerness to learn and advance her education in insurance, she is now an integral part of the service teams in both personal and commercial lines of business. She finds great joy in working closely with customers and colleagues alike, bringing energy and a bright smile to everyone she encounters. Maranda lives in Pink Hill, North Carolina with her husband and little boy. In her free time, she enjoys horseback riding and any other activity that brings her outdoors. Betty Jo Thigpen joined Carlton Insurance in 2018 after 30 years of working on the family farm. She enjoys learning about insurance, working with the staff and the day to day customer contact. Helping with the clients needs and building relationships are important to Betty Jo. When not at work Betty Jo enjoys spending time on the farm in Jones County, traveling to the beach or mountains and cooking. Lesley Carter joined Carlton Insurance in 2018. She enjoys the opportunity to represent the agency as the first-person customers contact for information and questions. Hearing a client’s needs and connecting them to the appropriate team member is very important to Lesley every day. Lesley lives in Magnolia, NC with her husband and daughter. Any chance She gets she loves spending time on the farm with her family and their two labs.